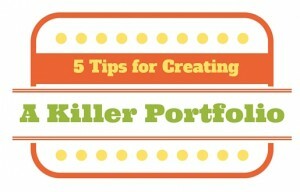 Your portfolio is your career calling card. It’s what represents your style, your process and your creative solution to any given problem. Whether you’re a student or you have a few years of experience under your belt, here’s how to get it right and have your peers notice. There are numerous opinions on exactly what a design portfolio should contain, but there are some golden rules and theories that will point you in the right direction when putting yours together. One of the first things any designer should do before applying for a position is to research the company they have an interest in. Discover what kind of company it is and what kind of work they do. Some companies specialize in brand identity and design, while others focus primarily on advertising and brand campaigns. Then ask yourself if this is the kind of work that you’re passionate about and see yourself doing. If so, you should be tailoring your portfolio to that kind of work. 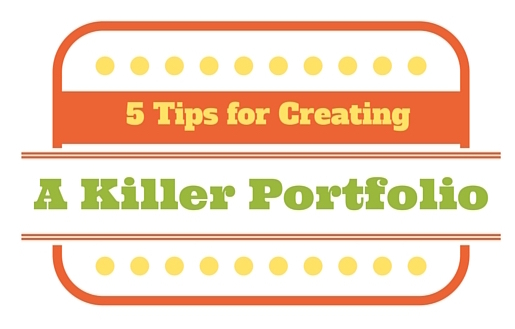 There are some exceptions, but if you’re presenting your portfolio, and the majority of your projects are a close representation of the kind of work that they do, they’ll think you’re a solid match. Don’t worry if you think it won’t be any good; what the folks on the other side of the table are going to see is ambition and initiative, and that is what’s really important. Of course students and young designers don’t always have a bottomless pit of stellar work of their own to choose from, so my advice to you is: make up a project. Or even better, redo a project that is on their website. Don’t worry if you think it won’t be any good; what the folks on the other side of the table are going to see is ambition and initiative, and that is what’s really important. Designers tend to flood their portfolio with an unnecessary amount of projects for any given reason. It’s good to show diversity whether in style or medium (print, digital, video, etc. ), but it’s also important to keep it to a minimum. There are two reasons for this. First, showing 20+ projects will take up the majority of the interview and you need to allow time for some open discussion. Open discussion allows those hiring a chance to get to know you, your personality and your creative process. Second, and most importantly, show only your best work. You want to make a good first impression, and then keep that impression throughout your portfolio. It’s never a good thing to have a stellar piece at the front, followed by some so-so pieces afterwards. A young designer may be chomping at the bit to start including real-world pieces in their portfolio because it shows experience, but if it’s not your best work, don’t use it. You always want to keep the person interviewing you impressed and curious to see what’s on the next page. That said, 8 to 12 pieces of your best work should be plenty. Even though it’s good to keep your portfolio lean and mean, it’s important to include options for any given piece. If you have a logo in your portfolio, a great idea would be to show other options of that logo that didn’t make the cut. Whether they are in sketch form or have actually been designed, showing options is a great way for others to understand your creative process and for you to tell others that you’re not a one-trick pony. Senior creatives want know that if you’re going to be assigned a task, that you’re going to come back with options, and that those options are completely different from each other. It’s always a good idea to showcase your own personal style. It’s a direct representation of who you are, and let’s face it, it’s what sets you apart from other designers. Whether you have a passion for typography or designing logos, don’t let that over-saturate your entire portfolio. Keep in mind tip #1 and make sure your style is compatible with the company that’s interviewing you. You may have a slick illustrative style and really like making posters for local bands, but that won’t impress the website and app development company you are about to interview with. Include roughly 2-4 pieces that closely represent your style, but remember tip #2, make sure it’s your best work. Your portfolio is a design challenge in itself. It’s essentially a layout challenge. Should you use a physical book or show a your work on a tablet? There’s a lot of different avenues to explore, but my recommendation is this: use the platform that best represents your work and its finished form. If you have a lot of print and design work in your portfolio, maybe go with a book. Be sure to bring along any print samples you have. The print production plays a big part in the final product. Paper selection, varnishes, die-cuts and special inks can elevate any design, so be sure to bring those physical print pieces with you. If you have a lot of digital projects, maybe go with a tablet. Just remember to try and not over complicate, and over design the way you represent your work. The work should speak for itself. Most people will hire a designer with a great attitude and an “ok” portfolio over a designer with a stellar portfolio and a bad attitude. Even though Attitude is the last tip in my Top 5, it should probably be #1. Believe it or not, attitude can show up in a design portfolio. If I see extra steps have been taken to enhance a project or if I see subtle detailed work that give the design that “extra something”, that will showcase initiative and passion. On the other hand, if I see the potential for a great concept or design and the execution and craftsmanship is lacking, that’s a huge red flag for me, and it translates into laziness. For young designers, the best thing you can do during an interview is show a positive attitude and stay humble. Remember, you’re more or less at the bottom of the food chain and you’re going to be handed projects that no one wants to do. But welcome that project with open arms. Make it yours! And make it so good that mid to senior level creatives want to claim it as their own. Most people will hire a designer with a great attitude and an “ok” portfolio over a designer with a stellar portfolio and a bad attitude. A designer with a bad attitude who thinks they are above any given project is a cancer to any creative team and will kill any excitement around any project. So stay humble, insert yourself and your creative energetic juices into projects (even the ones you’re not involved in) and make the person who hired you proud. What do you think? Continue the conversation on our Facebook page!